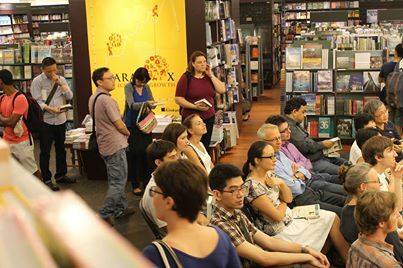 Reading at Kinokuniya Bookstore in Singapore, January, 2014. 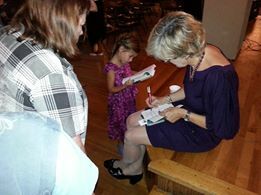 At launch of Swimming in the Moon at the Laurel Theater in Knoxville, Sept. 5, 2013, as young reader looks on. 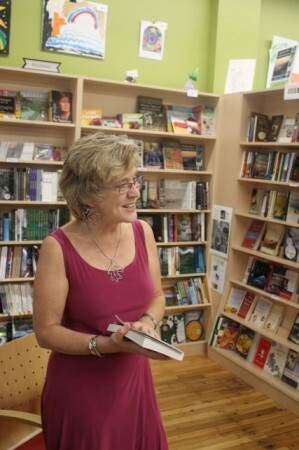 Signing books at the launch as a young reader examines her copy.